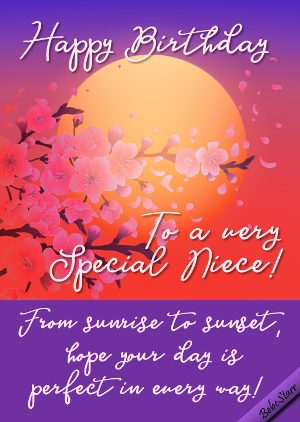 Chinese cherry blossoms and a beautiful sunrise to wish a happy birthday and a perfect day. What a pretty card! Beautiful!